Hello tea friends! It’s good to be back home and share a cup of tea with you again. I do love to travel and see new places or revisit favorite places but it is always good to come home, especially after a full day of air travel. I felt my shoulders relax the moment I walked through my front door. Ahhh, home again. 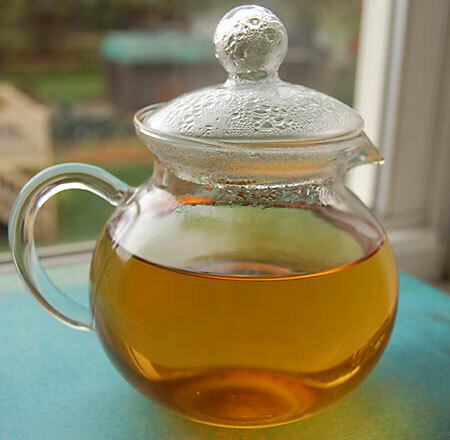 This morning I’m enjoying a very special treat, one of my most favorite experiences of springtime – the first sip of a brand new first flush Darjeeling. 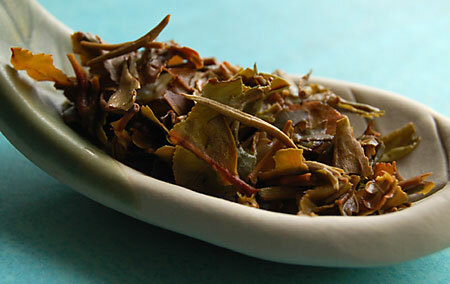 This tea is from the Puttabong estate. Located in the mountainous Darjeeling district of northeast India and also know as the Tukvar estate, I’ve written about this estate before right here. 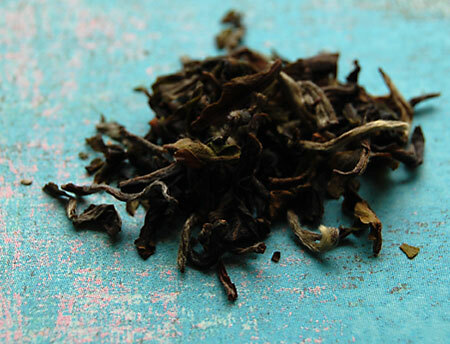 Unfortunately, the weather conditions in Darjeeling this spring were less than ideal but you would never know that when looking at the gorgeous leaf and inhaling the fragrant aroma of this tea. That said, the lower quantity produced this season has made these first flush teas very expensive. 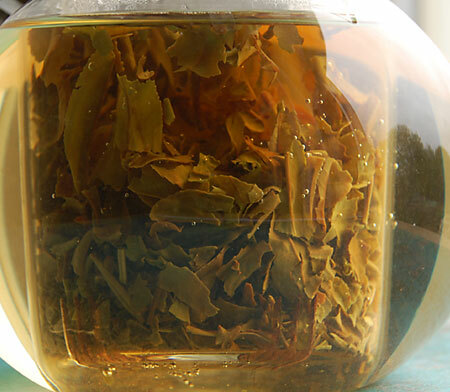 This tea is processed as a black tea but because the plucking is from the first leaves of springtime, it has a very “green” feel to it, in both the dry and wet leaf and also the aroma and taste. The tea liquor steeps to a deep golden color after 3 minutes in slightly less than boiling point water. The aroma and flavor is of ripening fruit. It calls to mind a green banana that has just turned ripe enough to eat but still retains its not yet quite ripeness. So new, so fresh, so smooth. I have one word for the flavor. YUM. How do you like that for a technical tea description? I just want to keep drinking this tea it’s so wonderful! Unfortunately, I only have enough for 4 cups of tea in the sample I have so I will savor each delicious sip. I have looked forward to this moment all winter long. Mmmmm…. My workplace is located 3 blocks from the starting line of the Boston Marathon so I have Monday off and a delicious 3-day weekend stretching out in front of me. I’ve been on the go for the last month so I am taking this opportunity to just hang out at home and do nothing. 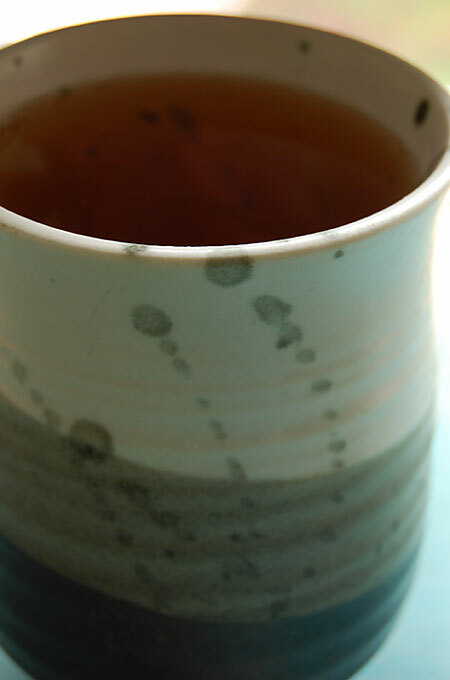 What tea are you enjoying today?